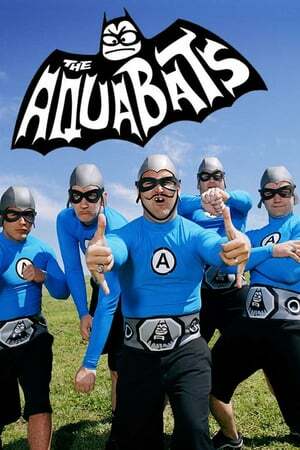 Over the last couple of months we’ve been telling you about how The Aquabats have a Kickstarter campaign to help pay for a revival of The Aquabats Super Show. When it looked like they wouldn’t meet their original goal, they pulled the plug and started over with a more realistic funding scheme, and you can read about about that HERE. You can read about the original campaign, see the first part of a new adventure, and find links so you can donate HERE. But tonight we’re going to bring you what may be the final two chapters of their epic quest to reunite the band for the show. . The Aquabats have been serializing the exploits of their quest in a series of Kickstarter Updates. To date there have been several entries, including the Kickstarter reboot video, and you can see those HERE and HERE, just to bring you up to date for these final two chapters. Below the videos you’ll find the widget so that you can kick in and help bring the Aquabats Super Show back to life. The new goals were met in just a few hours, so we’re guaranteed a new album as well as at least six mini-episodes of the new show. Throw your money at them so we can get even more!